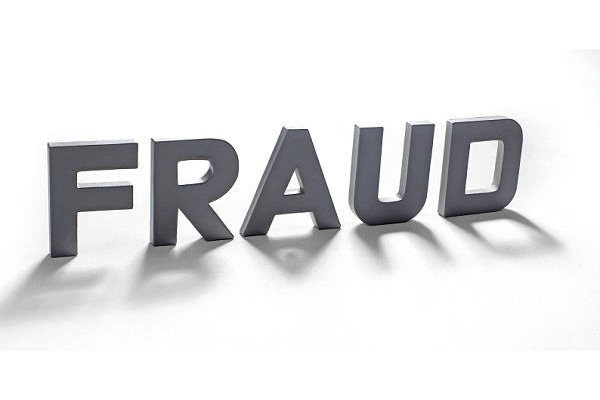 Bank Fraud Allegations Defense Attorney - Oberheiden, P.C. How Can I Defend Against Bank Fraud Allegations During a Divorce? Sometimes during a contested divorce, one spouse tries to gain an advantage over the other spouse by alleging federal criminal conduct such as bank fraud. These allegations can be devastating to the accused spouse, who must bear the expense of hiring a federal criminal defense attorney in addition to experiencing the legal and reputational harm of facing serious criminal allegations. Criminal allegations are particularly common (and detestable) as a way of blackmailing the other spouse in order to obtain a favorable settlement regarding child custody or a financial commitment. Bank fraud is a federal offense that punishes individuals for defrauding or attempting to obtain funds or assets from a financial institution by means of false or fraudulent pretenses. 18 U.S.C. § 1344. Bank fraud includes forging checks, taking out fraudulent loans, stealing checks, or impersonating a financial institution for the purpose of tricking individuals into depositing funds into fake accounts. Common bank fraud schemes involve falsifying loan documents in order to obtain a loan under false pretenses or intentionally obtaining a loan immediately before filing for bankruptcy. In the context of a marriage or divorce, allegations of bank fraud may arise where one spouse accuses the other of forging their name on bank documents, such as loan or mortgage applications. Another example of bank fraud within a marital context is stealing and/or forging checks from the other. A false accusation of bank fraud may also arise where one spouse attempts to escape financial liability for a loan by claiming the other spouse forged the signatures on the loan documents. It is important to remember that bank fraud is a federal felony and that an accusation of bank fraud cannot be taken lightly. A person convicted of bank fraud may face up to 30 years in federal prison and up to a $1 million fine. 18 U.S.C. § 1344. Bank fraud crimes are enforced by the Federal Bureau of Investigation (FBI) in conjunction with the local United States Attorney’s Office. For professionals who have spent years building their practices or businesses, just an investigation for bank fraud could cost them everything. Federal investigators have the ability to freeze personal and business bank accounts and seize personal and business files, computers and cellular phones. If an individual pleas or is found guilty of a felony charge of bank fraud, they will likely lose any professional licenses and could receive other restrictions on business or professional practice. Importantly to some people, most states do not allow convict felons to have a license to carry firearms. Any spouse accused of bank fraud should contact experienced attorneys that understand contested divorces and how to defeat federal criminal charges. The attorneys at Oberheiden, P.C. have years of experience representing clients going through contested divorces. In addition, many of our attorneys are former federal prosecutors who use their experience on the other side of the courtroom to defend our clients facing federal criminal charges. Our attorneys will listen to the facts of your case and help you determine whether your spouse’s allegations have any merit or whether they are merely an attempt to gain leverage in an acrimonious divorce. If your spouse has accused you or threatened to accuse you of bank fraud during the course of your divorce, call Oberheiden, P.C. today to speak directly with one of our experienced attorneys. Our attorneys are available seven days a week, including weekends to speak with you about your case. All consultations are free and confidential.